The Alebrijes are imaginary creatures that have elements from different animals such as dragon bodies, bat wings, wolf teeth and dog eyes. 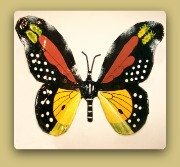 Colorfully painted, they were originally made with papier mache but nowadays they are also wood carved. 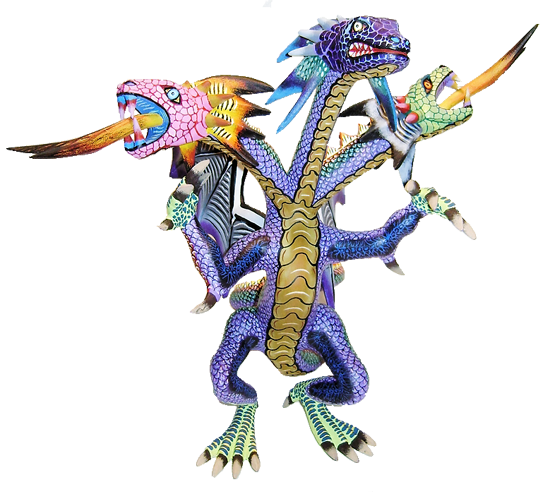 The Alebrije was created by Pedro Linares Lopez in the 1930's. Pedro was a cartonero (papier mache crafter) from La Merced a neighborhood in Mexico City, he made a living by doing pinatas and judas like his father did before him. The story says that while very ill Pedro had a feverish dream where he saw mythical creatures and heard them say the name alebrije. 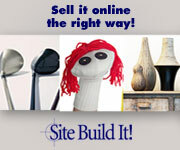 After that Pedro began to represent in papier mache the strange creatures he had dreamed of. 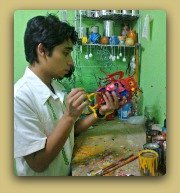 A far more reliable version explains that Linares was appointed by painter José Gómez Rosas aka El Hotentote to make some "alebrijes" to decorate the annual masquerade party at the San Carlos Arts Academy. The painter was in charge of the decoration of that event in the arts academy. Linares asked Gomez Rosas how to make such things, to which he replied "just grab a judas and give him a tail and bat wings". In Gomez Rosas paintings there were often zoomorphic and fantastic figures that combine reptile, bird, insect and mammal parts as well as different eras and painting styles. 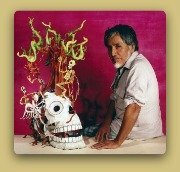 Pedro Linares' work sold locally for many years counting customers like Diego Rivera and Frida Kahlo until a documentary film made by Judith Bronowski in 1975 gave him international fame. In 1990 he received the National Prize for Popular Arts and Traditions. Linares passed away in 1992. 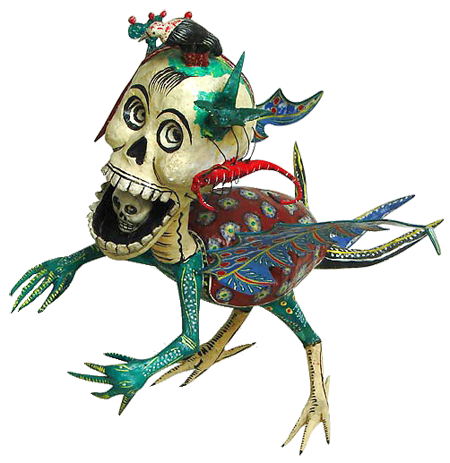 Today Linares descendants continue with the family business making the now iconic alebrije figurines, judas and skeletons in La Merced in Mexico City while many papier mache artists craft these fierce creatures around the country. 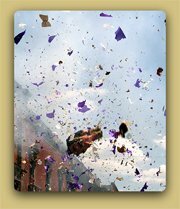 Since 2007 the Folk Art National Museum organizes The Alebrije's Night that includes a giant alebrije parade that goes from the Monument of the Independence to the Zocalo in Mexico City. More than 200 artists participate in this colorful event which includes a contest with prizes for the 3 best giant alebrijes and other activities such as a Puppet Theater with alebrije puppets, music, and tales about these mythical creatures. a small village near Oaxaca City. He carved and painted animal figurines with a unique flare. Jimenez talent and imagination was sponsored by an American merchant that helped him gain international recognition. 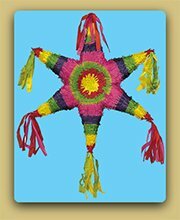 Other carvers from the area developed their own styles and over the years Oaxacan wood carvings have become one of the most appreciated and popular Mexican folk art styles. 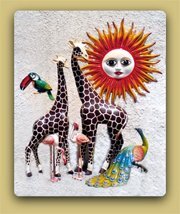 Among the different styles developed by local artisans are the reproductions of the Linares' Alebrije. This depiction has been so successful that some people have named the whole Oaxacan wood carving style Oaxacan Alebrijes.